We record our homage and deep admiration for the Womanhood of India who in the hour of peril for the motherland forsook the shelter of their homes and with unfailing courage and endurance stood shoulder to shoulder with their menfolk, in the frontline of India’s national army to share with them the sacrifices and triumphs of the struggle”. From a Resolution passed on January 26, 1931. When the history of India's fight for Independence comes to be written, the sacrifice made by the women of India will occupy the foremost place - Mahatma GandhiJawaharlal Nehru had remarked, when most of the men-folk were in prison then a remarkable thing happened. Our women came forward and took charge of the struggle. Women had always been there of course but now there was an avalanche of them, which took not only the British Government but their own menfolk by surprise. by:- Cristy Chopra- Apeejay School Pitampura Delhi. Woman's participation in India's freedom struggle began as early as 1817 when Bhima Bai Holkar fought bravely against the British colonel Malcolm and defeated him in guerilla warfare. In 1824 Rani Channama of Kittur resisted ate armed might of the East Indian Company. 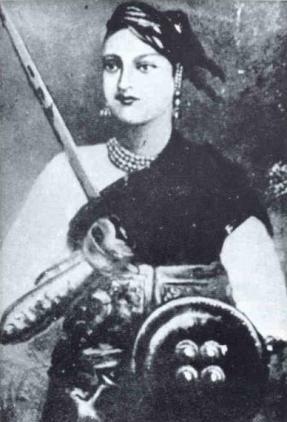 Rani Lakshmi Bai of Jhansi whose heroism and superb leadership laid an outstanding example for all future generations of women freedom fighters. Married to Gangadhar Rao head of the state of Jhansi. She was not allowed to adopt a successor after his death by the British, and Jhansi was annexed. With the outbreak of the Revolt she became determined to fight back. She used to go into the battlefield dressed as a man. Holding the reins of there horse in her mouth she used the sword with both hands. Under her leadership the Rani's troops showed undaunted courage and returned shot for shot. Considered by the British as the best and bravest military leader of rebels this sparkling epitome of courage died a hero's death in the battlefield. 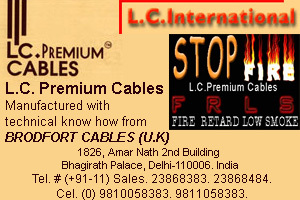 The first name that comes to mind is that of the famous Rani Laxmibai of Jhansi. Dressed in men’s clothes, she led her soldiers to war against the British. Even her enemies admired her courage and daring. She fought valiantly and although beaten she refused to surrender and fell as a warrior should, fighting the enemy to the last. Her remarkable courage inspired many men and women in India to rise against the alien rule. The other remarkable woman elected to the presidentship Indian National Congress was Sarojini Naidu. She became its president.dramatic meeting with another respected leader of time, Gokhle, in 1906 was to change her life forever. His response to her fiery speech brought into her life the impact of a visionary who saw in her oratory and brilliance a leader of the future. The period from 1917 to 1919 was the most dynamic phase of Sarojini's career. During this time, she campaigned for the Montagu Chelmsford Reforms, the Khilafat issue, the draconian Rowlett Act and the Satyagraha. When Gandhi launched the Civil Disobedience Movement ,she proved a faithful lieutenant. With great courage she quelled the rioters, sold proscribed literature, addressed frenzied meetings on the carnage at Jallianwala Bagh in Amritsar.In 1930 when Mahatma Gandhi chose her to lead the Salt Satyagraha the stories of her courage became legion. After Gandhi's arrest she had prepared 2,000 volunteers under the scorching sun to raid the Dahrsana Salt Works, while the police faced them half a mile up the road with rifle, lathis (canes) are steel tipped clubs. The volunteers wildly cheered when she shook off the arm of the British police officer who came to arrest her and marched proudly to the barbed wire stockade where she was interned before being imprisoned. Freedom struggle was in full force and she came under the influence of Gopalakrishna Gokhale and Gandhi. Gokhale advised her to spare all her energy and talents for nation's cause. She gave up writing poetry and fully devoted herself to emancipation of women, education, Hindu-Muslim unity etc. She became a follower of Gandhiji and accompanied him to England. Whenever in England, she openly criticized British rule in India which caught the attention of scholars and intellectuals. 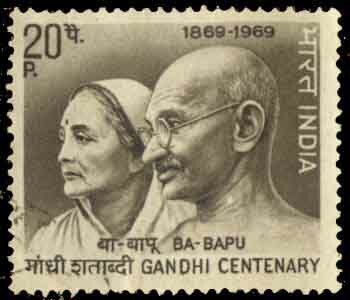 Kasturb Gndhi (April 11, 1869 – 22 February 1944), affectionately called Ba, was the wife of Mohandas Gandhi. 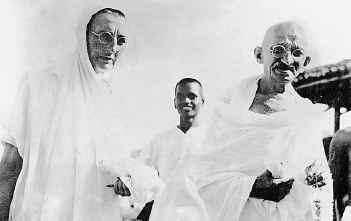 Kasturba Gandhi, Mahatma Gandhi's wife joined her husband while he was in South Africa and worked with him for many years there. She was a leader of Women's Satyagraha for which she was imprisoned. She helped her husband in the cause of Indigo workers in Champaran, Bihar and the No Tax Campaign in Kaira, Gujarat. She was arrested twice for picketing liquor and foreign cloth shops, and in 1939 for participating in the Rajkot Satyagraha. Born to Gokuladas Makharji of Porbandar. 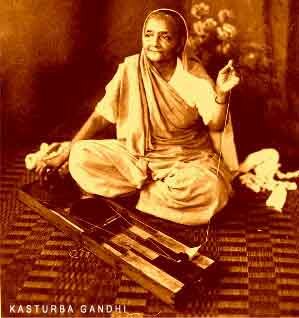 Kasturba married Mohandas Karamchand Gandhi (Mahatma Gandhi) through arrangement. They were both 13 years old. At that time, she was illiterate, and so Gandhi taught her to read and write — a potentially radical move, given the position of women in India at that time. When Gandhi left to study in London in 1888, she remained in India to raise their newborn son Harilal. She had three more sons - Manilal (1892), Ramdas (1897), and Devdas (1900). In 1906, Mohandas Gandhi decided to practice brahmacharya, and the couple became celibate. Although she stood by her husband, she did not always easily accept his ideas. Gandhi had to work hard to persuade her to see (and agree to) his points of view. Kasturba was deeply religious. Like her husband, she renounced all caste distinctions and lived in ashrams. 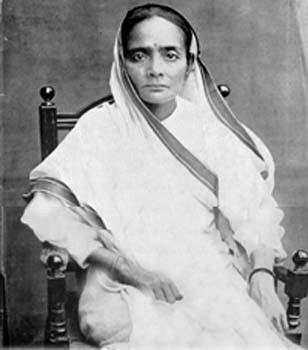 Kasturba often joined her husband in political protests. She traveled to South Africa in 1897 to be with her husband. From 1904 to 1914, she was active in the Phoenix Settlement near Durban. During the 1913 protest against working conditions for Indians in South Africa, Kasturba was arrested and sentenced to three months in a hard labor prison. Later, in India, she sometimes took her husband's place when he was under arrest. In 1915, when Gandhi returned to India to support indigo planters, Kasturba accompanied him. She taught hygiene, discipline, reading and writing to women and children. Kasturba suffered from chronic bronchitis. Stress from the Quit India Movement's arrests and ashram life caused her to fall ill. After contracting pneumonia, she died from a severe heart attack on February 22, 1944. She died in Mahatma Gandhi's arms while both were still in prison. He was never the same after her death. Aruna was born at Kalka, Haryana into a Bengali Brahmo family. She was educated at Lahore and Nainital. She graduated and worked as a teacher, an achievement in itself for women, given the conditions prevalent in the country at that time. She taught at the Gokhale Memorial School in Calcutta. She met Asaf Ali, a leader in the congress party at Allahabad and married him in 1928, despite parental opposition on grounds of religion (she was a Brahmo while he was a Muslim) and age (a difference of more than 20 years). Her father Upendranath Ganguly hailed from Barisal district of Eastern Bengal but settled in the United Province. He was a restaurant owner and a very adventurous man. Mother Ambalika Devi was the daughter of Trailokyanath Sanyal,a renowned Brahmo leader who wrote many beautiful brahmo hyms. Upendranath Ganguly's younger brother Dhirendranath Ganguly (D G) was one of the earliest film directors. Another brother Nagendranath, a soil biologist was married to Rabindranath Tagore's only surviving daughter Mira Devi though they got separated after sometime. 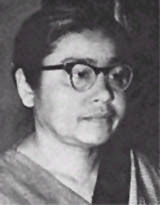 Her sister, Purnima Banerjee was a member of the Constituent Assembly of India. Aruna Asaf Ali was awarded International Lenin Peace Prize for the year 1964. She was awarded India’s highest civilian award, the Bharat Ratna, posthumously in 1997. 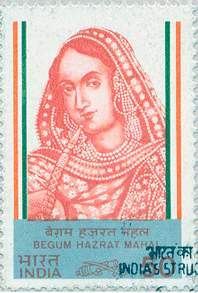 In 1998, a stamp commemorating her was issued. Aruna Asaf Ali marg in New Delhi is named after her. All India Minorities Front distributes the Dr Aruna Asaf Ali Sadbhawana Award annually. The most remarkable of women in modern India’s was Indira Gandhi who from her early years was active in the national liberation struggle. 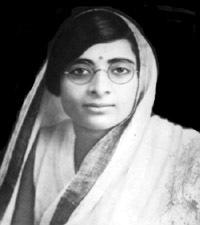 During the 1930 movement, she formed the ‘Vanar Sena’. A children’s brigade to help freedom fighters. She became a member of the Indian National Congress in 1938. Soon after her return to India in March 1941, she plunged into political activity. Her public activity entered a new phase with India’s Independence in 1947. She took over the responsibility of running the Prime Minister’s House. The Congress, which had been her political home ever since her childhood, soon drew her into leading political roles, first as member of the Congress Working Committee in 1955 and later as member of the Central Parliamentary Board in 1958. 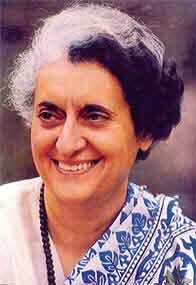 In 1959, she was elected President of the Indian National Congress. She oriented Congress thinking and action towards basic issues confronting Indian society and enthused the younger generation the task of nation-building. In the eventful years of her leadership as Prime Minister, Indian society underwent profound changes. She was unremitting in her endeavour for the unity and solidarity of the nation. A staunch defender of the secular ideals of the Constitution, she worked tirelessly for the social and economic advancement of the minorities. She had a vision of a modern self-reliant and dynamic economy. She fought boldly and vigorously against communalism, obscurantism, re-vivalism and religious fundamentalism of all types. She repeatedly warned the nation that communalism and obscuranatism were the tools employed by the forces of destabilization. She laid down her life in defence of the ideals on which the unity and integrity of the Republic are founded. The martyrdom of Mahatma Gandhi and Indira Gandhi for upholding the unity of India will reverberate across the centuries. Many women of the Nehru family too had joined the Civil Disobedience Movement. Kamala Nehru, Jawaharlal Nehru's wife gave full support to her husband in his desire to work actively for the freedom struggle. In the Nehru hometown of Allahabad she organized processions, addressed meetings and led picketing of liquor and foreign cloth shops. She played a prominent part in organizing the No Tax Campaign in United Provinces (now Uttar Pradesh). Kamala Kaul Nehru (1899–1936) was the wife of Jawaharlal Nehru, leader of the Indian National Congress and first Prime Minister of India. Kamala married Nehru on 8 February 1916. Their marriage was arranged by his parents. Brought up in a traditional Hindu Brahmin family, she felt alienated amongst the more Westernized Nehrus. It was only with the involvement of the Nehrus in the national movement, that she emerged into the forefront. In the Non Cooperation movement of 1921, she organized groups of women in Allahabad and picketed shops selling foreign cloth and liquor. When her husband was arrested to prevent him delivering a "seditious" public speech, she went in his place to read it out. She was twice arrested by British authorities. Described as pretty, slim, and tender, Kamala was quiet, unobtrusive, and is thought to have had little impact on her husband. In 1917, she gave birth to a daughter, Indira Priyadarshini, who later succeeded her father as prime minister and head of the Congress party. Kamala died from tuberculosis in Switzerland while her husband was in prison. She spent some time at Gandhi's ashram with Kasturba Gandhi where she built a close friendship with Prabhavati Devi wife of Jayaprakash Narayan. Jawaharlal Nehur's sister Vijayalakshmi Pandit inspired by Rani Lakshmi Bai of Jhansi and impressed by Sarojini Naidu entered the Non Cooperation Movement. She was arrested in 1932 and sent to and sentenced to one year's rigorous imprisonment. She was arrested in 1940, and yet again during the Quit India Movement. She attended the Pacific Relations Conference at Hot Springs, U.S.A. as leader of the Indian delegation sponsored by the Indian Council of World Affairs. 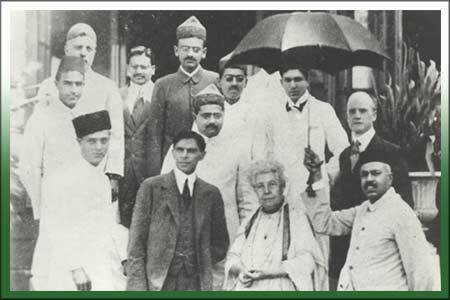 She was present in San Francisco when the U.N first met there, and through numerous well attended public lectures she challenged the British dominated delegates rights to represent India therein.Sister of Pandit Jawaharlal Nehru also played a great role in the freedom movement. She was elected to Uttar Pradesh Assembly in 1936 and in 1946. She was the first woman in India to hold a ministerial rank. She was imprisoned thrice for taking part in the Civil Disobedience Movement in 1932. 1941 and 1942. After Independence, she continued to serve the country. She was the first woman to become president of the United Nations General Assembly. 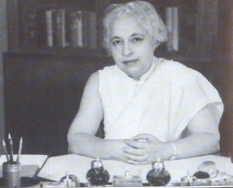 Vijaya Lakshmi Nehru Pandit (1900 - 1990) was an Indian diplomat and politician, In 1921 she married Ranjit Sitaram Pandit, who died on January 14, 1944. She was the first Indian woman to hold a cabinet post. In 1937 she was elected to the provincial legislature of the United Provinces and was designated minister of local self-government and public health. She held the latter post until 1939 and again from 1946 to 1947. In 1946 she was elected to the Constituent Assembly from the United Provinces. In India, she served as governor of Maharashtra from 1962 to 1964, after which she was elected to the Indian Lok Sabha from Phulpur, her brother's former constituency. She held office from 1964 to 1968. Pandit was a harsh critic of her niece, Indira Gandhi, after Gandhi became Prime Minister in 1966, and she retired from active politics after relations between them soured On retiring she moved to Dehradun in the Doon Valley in the Himalayan foothills. In 1979 she was appointed the Indian representative to the UN Human Rights Commission, after which she retired from public life. Her writings include The Evolution of India (1958) and The Scope of Happiness: A Personal Memoir (1979). Her daughter Nayantara Sahgal, who later settled in her mother's house in Dehradun, is a well-known novelist. "This flag is of Indian Independence! Behold, it is born! It has been made sacred by the blood of young Indians who sacrificed their lives. I call upon you, gentlemen to rise and salute this flag of Indian Independence. In the name of this flag, I appeal to lovers of freedom all over the world to support this flag." -- B. Cama , Stuttgart, Germany, 19she unfurled the first National Flag at the International Socialist Conference in Stuttgart (Germany) in 1907. A thousand representatives from several countries were attending. An Indian lady in a colorful sari was a rare phenomena in those days and her majestic appearance and brave and clear words made everybody think that she was a Maharani or at least a princess from a native state. The tricolor-flag Madam Cama unfurled had green, saffron, and red stripes. Red represented strength, saffron victory, and green stood for boldness and enthusiasm. there were eight lotuses representing the eight provinces and flowers represented princely states. "Vande Mataram" in Devanagari adorned central saffron stripe which meant "salutation to Mother India." The sun and the moon indicated Hindu and Muslim faiths. The flag was designed by Veer Savarkar with the help of other revolutionaries. After Stuttgart, Madam went to United States. She traveled a lot and informed Americans about Indians struggling for Independence. She told about British efforts to smother the voice of educated Indians who protested against tyranny and despotism of British who always boasted themselves as "mother of parliamentary democracy" over the world! She could be called "Mother India's first cultural representative to USA. "Where is the Flag Now? Begum Hazrat Mahal, the Begaum of Oudh. She took active part in the defence of Lucknow against the British. Although, she was queen and used to a life of luxury, she appeared on the battle-field herself to encourage her troops. 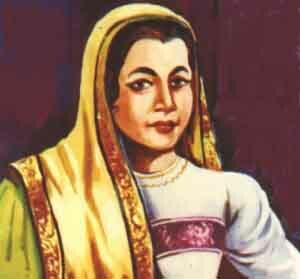 Begam Hazrat Mahal held out against the British with all her strength as long as she could. Ultimately she had to give up and take refuge in Nepal. Begum Hazrat Mahal was the wife of Nawab Wajid Ali Shah. Begum Hazrat Mahal was endowed with great physical charm and grace as well as organizational skills. After, her husband was exiled to Calcutta, she took charge of the affairs of the state of Awadh, which then was a large part of the current state of Uttar Pradesh, India. During India’s First War of independence (1857-58), she led a band of her supporters against the British, and was even able to seize the control of Lucknow. She declared her son Birjis Qadra as the king of Awadh. She is believed to have worked in close association with other leaders of the India’s First War of Independence, including Nana Sahib. When the forces under the command of the British re-captured Lucknow and most part of the Awadh, she was forced to retreat. She turned down all offers of amnesty and allowances by the British rulers. Ultimately, she had to retreat to Nepal, where she was offered asylum by the Rana prime minister Jung Bahadur. She died there in 1879 and was buried in a nameless grave on the grounds of Kathmandu's Jama Masjid. 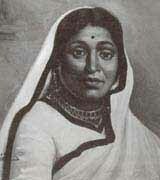 Sarojini’s daughter Miss Padmaja Naidu devoted herself to the cause of Nation like her mother. At the age of 21, she entered the National scene and became the joint founder of the Indian National Congress of Hyderabad. She spread the message of Khadi and inspired people to boycott foreign goods. She was jailed for taking part in the “Quit India” movement in 1942. After Independence, she became the Governor of West Bengal. During her public life spanning over half a century, she was associated with the Red Cross. Her services to the Nation and especially her humanitarian approach to solve problems will long be remembered. She was born in Ambala, Haryana to a Bengali family. Her father, S.N. Majumdar though a government doctor was a nationalist. Educated at Indraprastha College and St.Stephen's College, Delhi she became a lecturer at the Banaras Hindu University. In 1936, she married socialist, Acharya Kriplani and became involved with the Indian National Congress. Like her contemporaries Aruna Asaf Ali and Usha Mehta, she came to the forefront during the Quit India Movement. She later worked closely with Mahatma Gandhi during the Partition riots. She accompanied him to Noakhali in 1946. She was one of the few women who were elected to the Constituent Assembly and was part of the subcommittee that drafted the Indian Constitution. She became a part of the subcommittee that was handed over the task of laying down the charter for the constitution of India. On 15th August, 1947 she sang Vande Mataram in the Independence Session of the Constituent Assembly. After independence she remained involved with politics in U.P. She was elected to the Lok Sabha in 1952 and 1957 and served as a Minister of State for Small Scale Industries. In 1962, she was elected to the U.P Assembly from Kanpur and served in the Cabinet in 1962. In 1963, she became the Chief Minister of Uttar Pradesh, the first woman to hold that position in any Indian state. The highlight of her tenure was the firm handling of a state employees strike. The first-ever strike by the state employees which continued for 62 days took place during her regime. She relented only when the employees' leaders agreed for compromise. Although the wife of a socialist, Kriplani cemented her reputation as a firm administrator by refusing their demand for pay hike. Besides the hundreds and thousands of Indian women who dedicated their lives for the cause of their motherland, there were a number of noble and courageous foreign women who saw in India - its religion, its philosophy and its culture, a hope for the redemption of the world. They thought that in India’s spiritual death shall world find its grave. These noble women were sick of the material west and found in India and in its civilization, solace for their cramped souls. 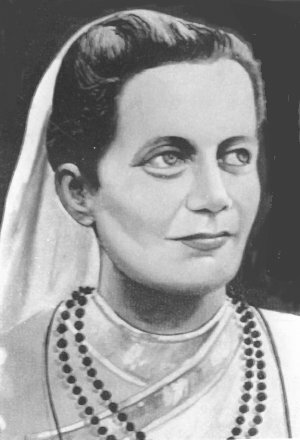 Sister Nivedita was one among the host of foreign women who were attracted towards Swami Vivekananda and Hindu philosophy. Born in Ireland on 28 October 1867, she arrived in India in January, 1898, in search of truth. She was impressed by the ideals of Womanhood in India. She once remarked that India was the land of great women. She, however, felt that Indian women needed, to cultivate among themselves a wider and broader concept of the nation, so that they could participate along with men in building a free and strong nation.She propagated for the cause of India throughout America and Europe. Swami Vivekananda described her as a real Lioness. Rabindranath Tagore regarded her as Lok-Mata and Aurobindo Ghosh as Agni-sikha. Margaret Elizabeth Noble (1867-1911), better known as Sister Nivedita, was an Anglo-Irish social worker, author, teacher and disciple of Swami Vivekananda. She met Vivekananda in 1895 in London and travelled to India (Kolkata) in 1898. 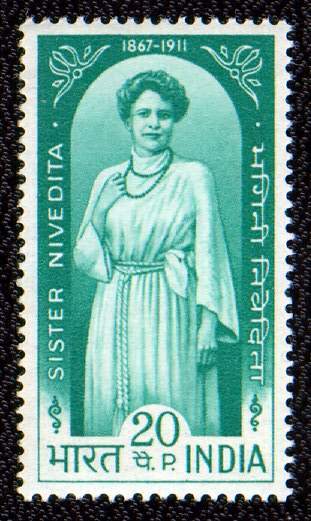 Swami Vivekananda gave her the name Nivedita (which means one who is dedicated to God) on March 25, 1898. In November 1898 she started a school for girls which is now called Ramakrishna Sarada Mission Sister Nivedita Girls' High School. She worked to improve the lives of Indian women of all castes. 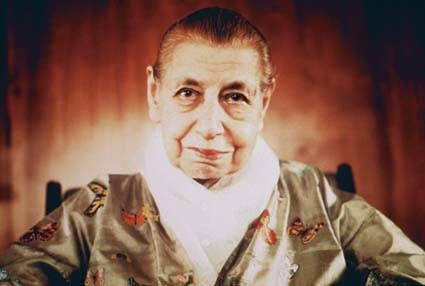 Mirra Alfassa, later Morisset and Richard (February 21, 1878 - November 17, 1973), also known as The Mother, was the spiritual partner of Sri Aurobindo. She was born in Paris to Turkish and Egyptian parents and came to his retreat on March 29, 1914 in Pondicherry to collaborate on editing the Arya. Having to leave Pondicherry during the War, she spent most of her time in Japan where she met the poet Rabindranath Tagore. Finally she returned to Pondicherry and settled there in 1920. After November 24, 1926, when Sri Aurobindo retired into seclusion, she founded his ashram with a handful of disciples living around the Master. With Sri Aurobindo's full approval she became the leader of the community, a position she held until her death. The Trust she had registered after Sri Aurobindo's death in 1950 continues to look after the institution. The experiences of the last thirty years of the Mother's life were captured in the 13-volume work The Agenda. In those years she attempted the physical transformation of her body in order to become what she felt was the first of a new type of human individual by opening to the Supramental Truth Consciousness, a new power of spirit that Sri Aurobindo had allegedly discovered. Sri Aurobindo considered her an incarnation of the Mother Divine, hence her name "the Mother". The Divine Mother is the feminine aspect (Creative Energy) of the Divine consciousness and spirit. She took charge of Ashram in Pondicherry in 1926. She was the inspirer of Auroville, the international town near Pondicherry. 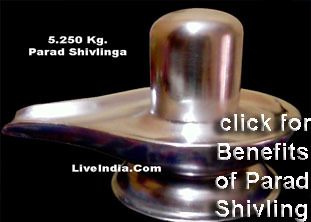 It was to serve as a meeting place for the followers of Shri Aurobindo. 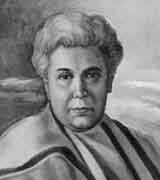 Annie Besant an Irish lady became the leader of the of the Theosophical Society. In 1902 while in London she criticized England for the conditions prevalent in India. In 1914 she joined the Indian National Congress and gave it a new direction. The idea of the Home Rule League was first discussed by her. She with the radical congress leader Tilak presented a memorial to Montagu on December 18, 1917 which gave equal rights to women in the matters of political franchise. She was the first woman president of the Congress and gave a powerful lead to women's movement in India. Annie Wood was born in 1847 in London into a middle-class family of Irish origin. She was always proud of being Irish and supported the cause of Irish self-rule throughout her adult life. Her father died when she was five years old, leaving the family almost penniless. Her mother supported the family by running a boarding house for boys at Harrow. However, she was unable to support Annie and persuaded her friend Ellen Marryat to care for her. Marryat made sure that Annie had a good education. She was given a strong sense of duty to society and an equally strong sense of what independent women could achieve. 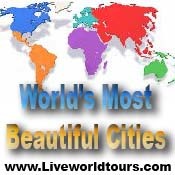 As a young woman, she was also able to travel widely in Europe. There she acquired a taste for Catholic colour and ceremony that never left her. In 1867, at age nineteen she married 26-year-old clergyman Frank Besant, younger brother of Walter Besant. He was an evangelical Anglican clergyman who seemed to share many of her concerns. Soon Frank became vicar of Sibsey in Lincolnshire. Annie moved to Sibsey with her husband, and within a few years they had two children: Digby and Mabel. The marriage was, however, a disaster. The first conflict came over money and Annie's independence. Annie wrote short stories, books for children and articles. As married women did not have the legal right to own property, Frank was able to take all the money she earned. Politics further divided the couple. Annie began to support farm workers who were fighting to unionise and to win better conditions. Frank was a Tory and sided with the landlords and farmers. The tension came to a head when Annie refused to attend Communion. She left him and returned to London. They were legally separated and Annie took her daughter with her. Annie began to question her own faith. She turned to leading churchmen for advice. She even went to see Edward Bouverie Pusey, leader of the Catholic wing of the Church of England. He simply told her she had read too many books. Annie returned to Frank to make one last effort to repair the marriage. It proved useless. She finally left for London. Divorce was unthinkable for Frank, and was not really within the reach of even middle-class people. Annie was to remain Mrs Besant for the rest of her life. At first, she was able to keep contact with both children and to have Mabel live with her. She got a small allowance from Frank. Her husband was given sole custody of their two children. Meera Ben and Sarla Ben popularly known as Mahatama Gandhi's two English daughters also made significant contribution to the cause of freedom. Meera Ben whose real name was Madeleine Slade attended the second Round Table Conference with Gandhi. She sent news releases concerning Gandhi's campaign to the world press for which she was repeatedly threatened by the government, but she continued her work. She undertook Khadi tour throughout the country. 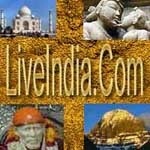 She was arrested for entering the city of Bombay in violation of the government order. Catherine Mary Heilman or Sarla Ben as she was better known, went from village to village helping the families of political prisoners.